The good news is that many companies are striving to improve the quality of their strategy processes. The bad news is that they often resort to a ritual of filling in templates as a way to do this. But without a proper understanding of the underlying concepts, the people who fill in these forms can lose sight of the object of the exercise, and soon the templates themselves become a substitute for strategic thinking. First we must think strategically, only then can we function strategically. 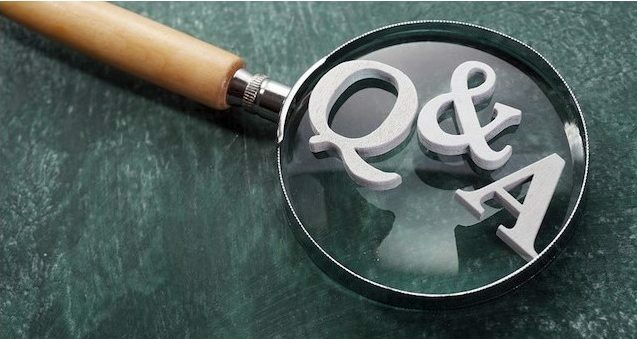 To facilitate this mindset I offer the following Q&A as a way for executive teams to develop a common understanding of strategy fundamentals. Q: What is strategy, and why do we need it? A: Strategy is the necessary response to the inescapable reality of limited resources. The entire flow of logic stems from this premise. If we had unlimited resources, we would not need a strategy. We could just keep hurling resources at our problems and our ongoing survival would be guaranteed. We would eliminate all risk of failure and competition would be irrelevant. Such a world does not exist. In essence, therefore, strategy is about harnessing insight to make choices about how best to deploy scarce resources to achieve competitive advantage. The worst choices are those that divert our resources from what matters most. Hitler’s decision in World War 2 to open a second front and invade Russia drained Germany’s resources and contributed to its defeat. Q: What are the key deliverables of a strategy? 1) Where will we deploy our scarce resources? – In which arenas will we compete? – Which customers will we serve? – What will we offer them? 2) How will we deploy these resources? – What will be our winning proposition in our chosen arenas? – How will we align the organization and execute our strategy? Without clear answers to these questions, we simply don’t have a strategy. Everything an organization does must cascade from these answers in a process of translation through all the layers of the system. Q: Whose job is it to do a strategy for an organization? A: If a strategy exists only at the top of an organization, it will have little effect. Achieving competitive advantage requires a focused collective effort. Therefore, strategy is everyone’s job. The golden rule is to start with a clear line of sight to the strategic goals of the total enterprise, then to translate these into an aligned winning proposition and key priorities within your own domain of responsibility. This cascading process enables the organization to achieve its central task – unity of action. An apt metaphor is the teamwork that propels a rowing eight. The coxswain is responsible for steering the boat and calling out the power and rhythm of the rowers. We talk of “pulling your weight.” Any rower who falls out of rhythm or reduces the team’s pulling power will impede the progress of the boat. There is simply no room for passengers. Q: How do we define a winning proposition? A: As noted above, the core deliverable of a strategy is an organization’s winning proposition. However, many companies use the term “value proposition.” But this is a deficient concept. It is an absolute statement in a world where everything is comparative and leaves out the biggest question of all: How much value? – What unique benefits will we deliver to our customers that provide a compelling reason for them to choose us? – How will we translate this exceptional customer value into superior financial returns for our enterprise and its investors? Q: How many priorities should we have? A: Let’s clarify the role of the key priorities. Your winning proposition faces outward and defines the superior benefits your customers will receive. Your key priorities face inward and define the critical resources that need to be mobilized within the organization in order to achieve your winning proposition. An organization should have no more than five priorities. The reason is not arbitrary. It is a universal law that every additional thing we do subtracts energy from everything else we do. So the longer the list of your priorities, the less chance you have of achieving any of them. Priorities must also define what an organization will not do. Otherwise you are simply piling it on and diluting your focus. Our mantra must be: subtract first, then multiply. Steve Jobs as CEO of Apple was outstanding at this. He would have teams study fifteen opportunities. He would then pick only three, and have the whole organization concentrate only on those three. Q: What is the best process for creating winning strategies? The competitive environment is Volatile, Uncertain, Complex and Ambiguous (VUCA). In this dynamic environment, the old static methods no longer work. Our only competitive advantage is the ability to build an adaptive enterprise capable of ongoing learning and renewal. 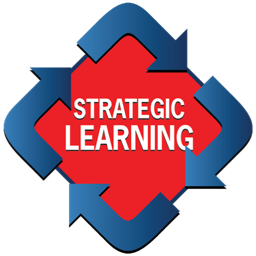 The Strategic Learning process introduces a shift of gear: from strategy as planning to strategy as learning. Q: Is the sequence of steps important? A: Yes, the sequence is a crucial aspect of thinking and functioning strategically. The essential starting point is the Situation Analysis (Learn). This is the brains of the operation. Starting here forces an organization to think outside-in. As the military emphasizes, intelligence precedes operations. The Situation Analysis produces the insights that inform Step 2 (Focus). This is the heart of your strategy and everything else follows from there. The role of Step 3 (Alignment) is to support the strategy – structure follows strategy, not the other way around. The elements do not work in isolation; they are mutually reinforcing. Each step builds on the prior step and confers power on the next step. Q: How do we align an organization’s business system? A good example is Southwest Airlines, the consistently profitable low cost airline. It’s magic lies in its beautifully orchestrated alignment system: point-to-point only, just one type of aircraft, no assigned seating, no meals, no interline baggage, use of secondary airports, training focused on teamwork, shared incentive systems. Competitors may be able to copy one or two of these elements, but no one has been able to copy Southwest’s entire business system. Q: What is the difference between strategy and planning? A: Strategy and planning are related but very different in their aims, and confusing them is a bad idea. Strategy is mainly about ideas, choices and trade-offs. Planning is largely about numbers and logistics. Think about running a railroad company. Strategy determines where to lay the railroad tracks; planning ensures that the trains run on time. You can’t run a successful railroad company unless you do both those things well. But one is not a substitute for the other. Attempting to combine strategy and planning in one process creates a toxic mixture. Doing so typically produces 10% strategy and 90% planning. Companies then lose the understanding of what strategy is. Both play an important role, but the golden rule is strategy first and planning afterwards. Q: What is the relationship between strategy and leadership? A: Strategy and leadership are essential parts of each other. No leader can lead without a clear and compelling strategy. But even a brilliant strategy, without effective leadership, will take an organization nowhere. It is strategy and leadership working hand in hand that is the key to success. 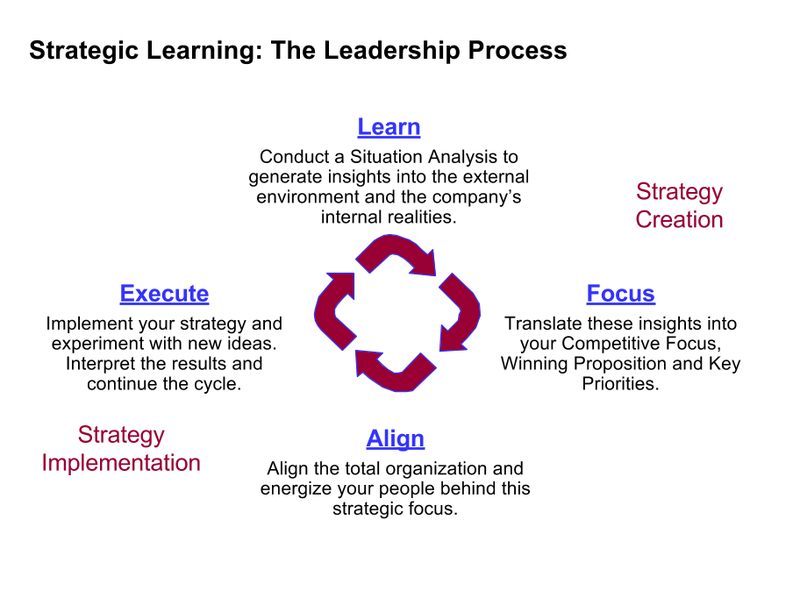 The crucial leadership task is to translate the written strategy document into a compelling leadership message that wins the hearts and minds of all employees. In short, leaders need to reinvent the oral tradition of storytelling. These ways of thinking don’t occur naturally. Leaders must guide their organizations on how to apply them. Only then can tools such as templates serve their strategic purpose. Consider the parable of a passer-by encountering three workmen toiling away at a construction site. He asks them what they are doing. The first workman says, “I am laying bricks.” The second one says, “I am digging a hole.” The third one straightens his back and declares, “I’m building a cathedral.” The role of leaders is to paint a vivid picture of the cathedral – the strategic intent of the enterprise – that gives meaning to the work that needs to done.